A claimant and their insurer recently sought to have their insurance dispute over payment of income replacement benefits decided by an adjudicator for the Licence Appeal Tribunal. The dispute arose when the insurance company, Co-operators General Insurance Company, stopped paying a claimant’s income replacement benefits because the claimant refused to attend a medical examination requested by the insurer. The claimant/applicant was injured in motorcycle accident in July 2015, and as a result, he applied to his vehicle insurer for income replacement benefits. He received $400 weekly from July 1, 2015 to March 25, 2016, after which time the insurer stopped paying on the grounds that the applicant refused to attend an examination requested in a February 3, 2016 notice from the insurer. The applicant’s reason given for his refusal is that the insurer did not provide a medical (or other) reason for the examination, as required by the Statutory Accident Benefits Schedule (SABS). He alleged that the insurer just wanted to “go on a fishing expedition”. 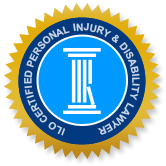 The applicant also asserted that his extensive medical records, which were provided to the insurer, clearly indicate that he cannot return to his work as a long-distance truck driver due to the injuries he sustained in the motorcycle accident. On July 8, 2016, the applicant underwent surgery on his left foot, so the insurer reinstated his income replacement payments until he was able to attend an examination, although the insurer advised the applicant that he is still “non-compliant”. The arbitrator in this case decided that the applicant is not owed income replacement benefits from March 25 to July 7, because he did not attend the requested examination. The arbitrator agreed with the applicant’s arguments that assessments are invasive, and insurers don’t have an automatic right to demand an assessment under SABS. However, the arbitrator found that insurers have an obligation to regularly adjust a file and if warranted by medical reasons, they may gather evidence to respond to a position taken by an insured person. In this case, the arbitrator found that the wording in the insurer’s notice to the applicant requesting an examination reflected a valid reason for the request, where it stated “to determine the timelines for recovery and future prognosis in relation to your injuries”. Specifically, the insurer’s notice requested that the applicant attend an examination by an orthopedic surgeon on March 22, 2016, “to determine if you continue to meet the disability test for the Income Replacement Benefit which is a substantial inability to perform the essential tasks of your employment within 104 weeks after the accident. Also to determine the timelines for recovery and future prognosis in relation to your injuries”. The applicant had previously provided several medical reports to the insurer, which included a second Disability Certificate from his physician that reported his back symptoms had resolved only minimally, and an occupational therapy report that described a T12 vertebral fracture and extensive damage to his left foot requiring surgery. The latter report indicated that the applicant was to meet with a surgeon to discuss surgery and also, that his self-care needs could change if surgery was required. The arbitrator noted that although the applicant provided substantial medical documentation for his injuries, there was no evidence that he provided information to the insurer about his meeting with the surgeon or whether he would require surgery. Given that he was continuing to be assessed by medical professionals of his choosing, it appeared that his condition had not stabilized, which means it was reasonable for the insurer to desire their own assessment of the extent of his injuries and the prognosis for recovery. The arbitrator concluded that the applicant did not comply with the Schedule and therefore, the insurer’s withholding of benefits was reasonable. Under SABS, insurers must provide reasons beyond their desire to determine ongoing entitlement, when they request that applicants attend an examination. As noted by the arbitrator in this case, “requiring medical reasons makes insurers accountable for their decisions and prevents them from acting arbitrarily”. However, an applicant who is receiving statutory accident benefits and is requested to attend an examination but doesn’t feel their insurer has given a valid reason for the request, should contact their insurer to have the reason clarified, rather than simply ignoring the notice. Doing nothing in such cases places you at risk of denial of future benefits. After communicating with your insurer, if you are still in doubt that you were given a valid reason or if your benefits have been unfairly withheld, consult with an insurance claims lawyer with the Injury Lawyers of Ontario group to determine your legal rights in the matter.